From the first time I tried fish tacos, I have been a huge fan. Over time, I have come to love those offering fried fish with a light, crisp coating the best. There really isn't a lot of special work you need to do for this type of taco, the simpler the better. You can even skip the marinade portion of this recipe and I doubt anyone would care. It's that bit of crispy coating paired with the soft fish inside that makes it special. I do have another Fish Taco recipe on this site - Tilapa Tacos with Chipotle Mayo, Fruit Salsa and Honey-Cumin Cilantro Slaw - that takes a different tack. Here a fruit salsa is made separately and paired with a more traditional coleslaw. The article includes how to make Chipotle Mayo in case your local store doesn't offer a pre-made version. The recipe below is the one I used for my recent Taco Bar for 24 - article coming. Here the fish is prepared pretty much the same way, but the fruit is added right into the slaw mix. You get similar flavours, but only one dish to prepare and serve instead of two. A great time saver when having a big get-together. Place the cut Tilapia strips in a large Ziploc bag and add a small amount of your favourite citrus-based, store-bought or homemade marinade. Mix until all pieces are lightly coated. Let sit for about one hour, then drain off marinade and pat dry with paper towels. Just before cooking the fish, warm the tortillas and set aside. Spread Panko bread crumbs on a large plate and season with salt. Heat an inch of vegetable oil in a skillet - about medium high. Dust the Tilapia filets with flour, dip in the beaten egg and roll in panko crumbs, pressing to coat well. (NOTE - I have skipped dusting with flour in a pinch and it turned out fine, but this step does helps the crust adhere better). Cook 4 strips at a time in heated oil turning carefully halfway through with 2 forks. The strips break easily so be careful. When crust is brown and fish cooked thoroughly, gently remove with a large spatula and place on paper towels to drain. Keep warm while cooking the rest of the fish strips. Place one piece of fish on each warmed tortilla. 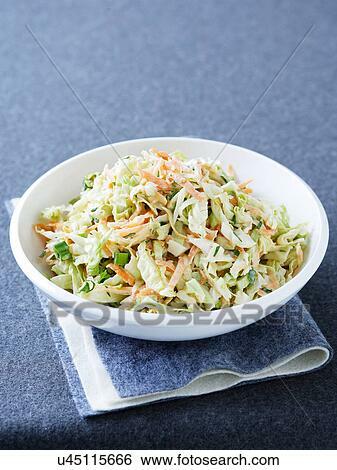 Serve with fruit slaw and chipotle mayonnaise (store bought or home-made). You can assemble the tacos yourself or let guests add the extras they want. It's also nice to offer a couple traditional salsas at different levels of spiciness - mild to hot. Mix all ingredients at least 2-3 hours before serving and refrigerate so the flavour have a chance to develop. Next, give it a taste. The original recipe that I started with added a bunch of dressing which I felt would overpower it. You may like it just like this with no dressing, but I did feel after tasting it that just a tiny bit was needed. I added about 1/2 T of both Red Wine Vinegar and Mayonnaise, a tiny pinch of sugar and just a dash of salt and pepper. Let sit a few minutes and taste again. You can always add more, but too much will cover up the slaw's really fresh flavour and make the tacos really messy to eat.